Hi Dave – what brand of pressure cooker do you use? 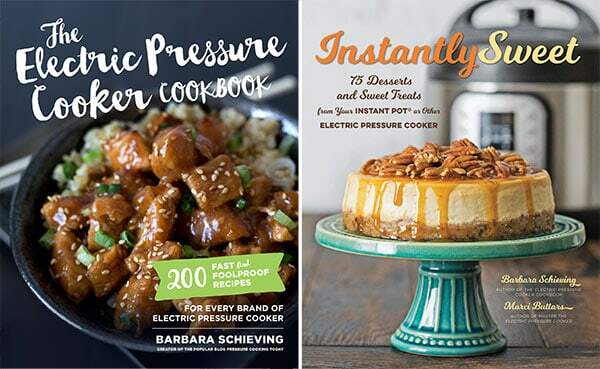 All my recipes are written for the electric pressure cooker. Many have a browning setting (and I think they all should). Let me know if you have specific questions. 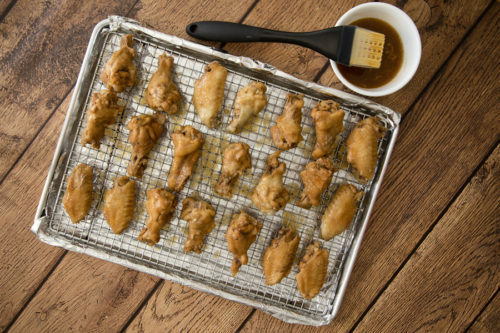 Love your pressure cooker recipes and have a wing question: a local place smokes their wings before frying and saucing; could a little bit of liquid smoke in the cooking water help to infuse a smoked flavor into the wings, do you think? 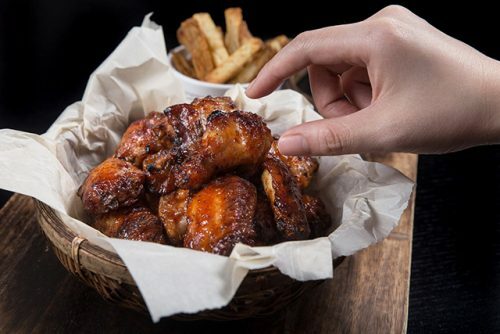 Maybe 1/2 t of the liquid smoke in 1 cup water to cook the wings under pressure, then natural release, then toss the wings in a teriyaki or BBQ sauce until coated, dry them out just a bit in a low oven? 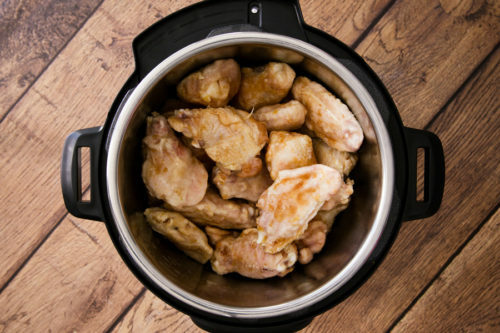 How many minutes should I set pressure cooker for if I am using frozen chicken wings. 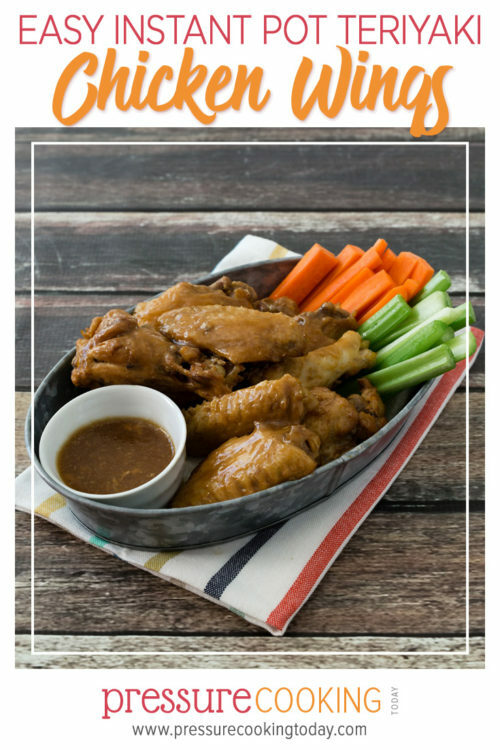 Should I just pour marinade over wings and mix wings while in pressure cooker and then cook? Hi Julie – yes, with frozen wings, I’d just cook them in the marinade and then pop them under the broiler to finish them off at the end. You shouldn’t need to increase the time. Thank you for your quick response:) I’ll be making them tonight! 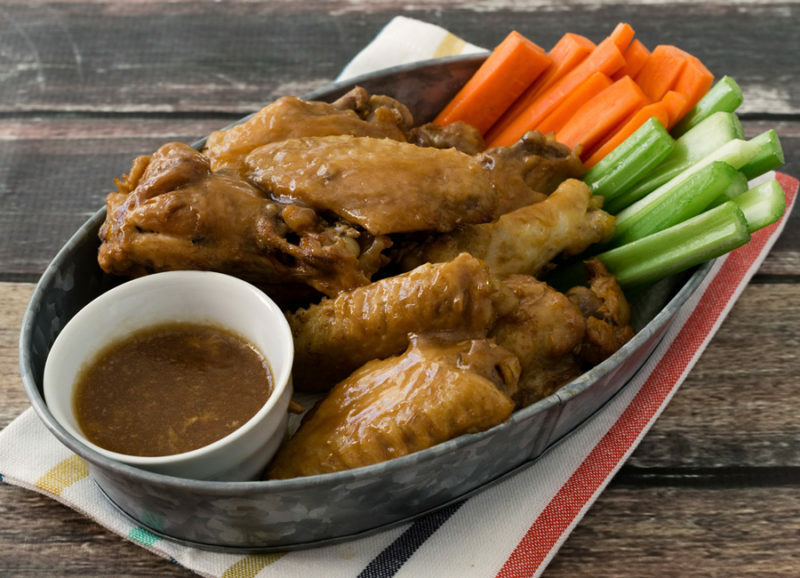 Do you have an easy recipe for hot wings? Sorry Sherri – I don’t have a hot wings recipe. I am making these right now, they are going to be delicious, I can already tell. Thanks Paula! Hope you enjoyed them. Hi! I am new to pressure cooking. I received a Farberware 7 in 1 PC and love it so far! My question is, how do you do a ‘natural release’ with this PC? I could not find any information on this in the manual. 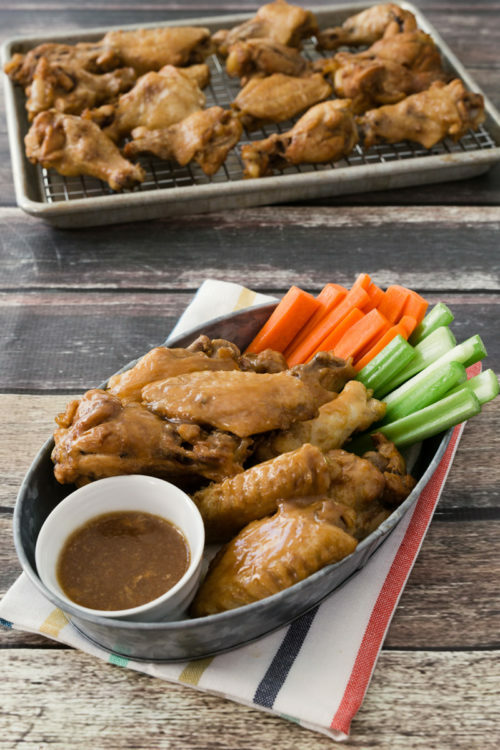 I am looking forward to making this wing recipe for our Super Bowl gathering this weekend! Hi Heidi – I’m not familiar with the Farberware, but electric pressure cookers seem to all work pretty much the same way. This post http://www.pressurecookingtoday.com/quick-pressure-release-or-natural-pressure-release/ will explain how to do a natural pressure release. Enjoy the wings! Hi Tracy – so sorry to hear about your burns. That would have scared me too. Glad you’re enjoying pressure cooking again! 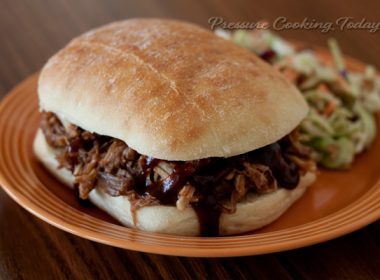 My husband Mark Oeder got me the xl pressure cooker and we did the pork recipe but am looking for more recipes. 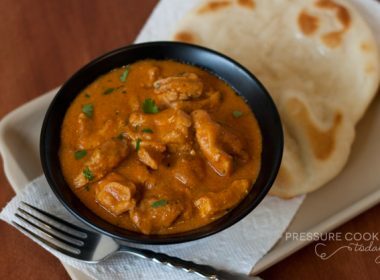 How do I do this in a stove top pressure cooker? Hi Sherry – just bring it to pressure the way you normal would. Reduce the stove temperature to maintain pressure and cook it 7 minutes. After 7 minutes, remove from heat and let the pressure release naturally. I have not tried to make rice yet and I am wondering how keep the rice warm if I want to make the topping in the same PCooker? As you can tell I am an old rookie! Hi JD – I’ve found rice keeps warm a very long time. I actually like to cover it with just a kitchen towel so it absorbs the steam and makes the rice more fluffy. Ideally you’ll have a second pot for your PC, but if not, just put the rice in a bowl and keep it covered while you cook your wings. I’m brand new to pressure cooking, so I have a rookie question. My Wolfgang Puck Automatic 8-quart Rapid Pressure Cooker does not have “brown” or “high” settings, only the dial for time. 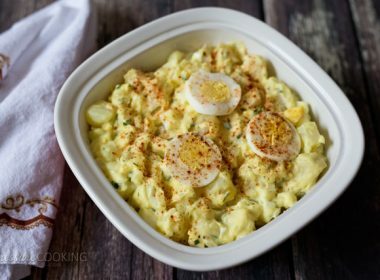 How would I adapt this, or any recipe that specifies “brown” or “high” setting? Since your pressure cooker doesn’t have any other settings, yes, it should cook at high pressure. To brown, just set the dial for a long amount of time, wait for the pot to get hot and then you should be able to brown or saute your ingredients. A pressure cooker is just a hotplate with an locked pot on top. Since the pot is locked tight, steam can’t escape so pressure builds inside. Increased pressure leads to hotter temperatures, around 250F at 15psi. That’s the secret to pressure cooking, and why foods cook faster. Unlike stovetop models, which automatically regulate pressure by monitoring internal pressure (all that jiggling releases steam as necessary), electric models don’t actually measure pressure. Instead, it calculates pressure based on the temperature. In other words, once it reaches 250F, the cooker knows that maximum pressure is reached, usually 13-15psi (although some only reach 235F or 10psi). The thermostat then turns off the heat, and turns it on and off as necessary to maintain the desired pressure/temperature. NOW TO YOUR QUESTION! If you leave the lid off, it will never reach pressure so the heat will stay on. You can then Brown, saute, stir fry, etc. As for High, all electric pressure cookers default at high (10psi-15psi or 235F-250F). Medium and Low pressures are mostly for delicate foods like fruits, and rarely used, so many models only have High. As an aside, Pressure Cookers are known to brown poorly. It simply doesn’t get hot enough. Many cooks prefer to brown in a stovetop pan before transferring the food to the pressure cooker. It also saves energy in my case because gas is much cheaper than electricity. Leaving a 1300 watt pressure cooker constantly on for 30 mins to brown uses a lot of energy. Contrast that with actual pressure cooking, where the heater is usually off once pressure is reached. If you decide to brown in a pan, make sure you deglaze the pan to get all those yummy crunchy bits into the final dish. Simply pour some of your cooking liquid into the pan and scrape (very easy with a nonstick pan) and then pour everything into the pressure cooker. These bits are the result of the Maillard Process, a chemical sequence which gives fried, toasted and charred foods their complex smokey flavor. I also have Wolfgang Pucks PC…I love it. I just turn it on let it heat up then brown my meats, etc…when done, then finish your meal following the directions. Yummy gravy too. Good luck. .
Hello everyone. I am brand new to pressure cooking and haven’t made anything yet. 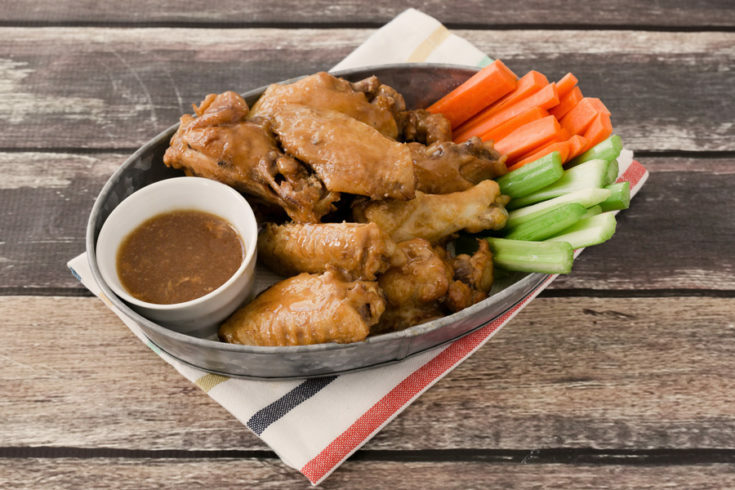 This wings recipe looks great. Stupid question here, are the wings frozen or thawed while they are resting with the mix in the fridge. Please forgive my ignorance. They’re thawed, but I suppose you could use frozen ones if you wanted to marinate them overnight. Have fun with your new pressure cooker..
Yum. Will try this tonight with some modifications. 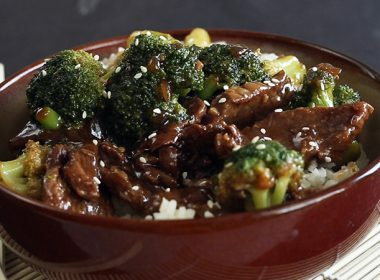 Since we don’t like alcohol, we’ll just use soy sauce (teriyaki sauce is just soy sauce + mirin or sake + sugar or honey). I also wonder if there is a carb-free substitute for the sugar since we have diabetics in the family. Normally, we’d use sucralose (Splenda) but the sugar provides more than sweetness. It’s also a glaze that hardens under the broiler, providing that crunch. Splenda can’t do that. I wonder if just broiling is enough to give that crunch. Oops, I didn’t mean to post this as a reply to Xavier. I meant to post it as a general comment. If you want to marinate them, they must be thawed. Otherwise, the marinade can’t penetrate. As an aside, marinating may not be all that important. A government study on spoilage found that marinades don’t really penetrate chicken significantly so it’s basically just a coating. Since fat repels water, the fat on the chicken skin (not to mention the membrane) prevents the marinade from going inside. FYI, one of the great things about pressure cooking is that you don’t have to thaw meats before cooking (unless you want to brown them first). The cooking time even remains the same. What’s different is the pressurization time. It’ll take more time for the cooker to reach pressure with colder ingredients since pressure builds as temperature rises (15psi is about 250F). Good points. I think wings thaw quickly enough that an overnight marinade would be beneficial. Also, i don’t know about wings, but the cook time on frozen meats is longer. Hello, I am new to your site. I love pressure cooking and use my electric cooker about 4 nights a week. when I found this site with some amazing receipes I decided to give them a try. The Thai chicken is amazing! I did add additional red peppers and chopped snow peas. The family loved it, I served with basmati rice. Thank you and keep the recipes coming! 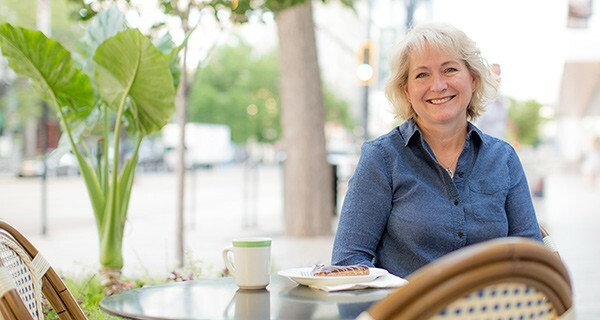 Welcome Patty – so glad you’re enjoying my recipes! I like the idea of bulking up the Thai chicken recipe with added veggies. Thanks! I have a meatball appetizer which I have made in a slow cooker. I have two questions. 1. Can this be transitioned to a pressure cooker recipe? 2. Do you think the sauce can be used on chicken wins? Put all ingredients in medium saucepan till cranberry sauce and preserves melt and is at a low boil. Pour over two pound bag of meatballs either frozen from grocery store or your own recipe. Hope to hear from you soon. Love your recipes. I have just bought a pressure cooker from QVC can’t wait to try it out. Thanks Diane – so glad you love my recipes. Yes, I think the recipe would work fine with either meatballs or wings. However, to be safe, I’d add 1/2 cup water just so you have enough liquid to come to pressure. If you need to you can simmer to reduce the liquid or thicken with a cornstarch slurry after cooking. Have fun with your new pressure cooker! So glad you all have enjoyed this. I’ve made it numerous times and have gotten great compliments from my guest. You don’t need to add liquid to create the pressure? The Teriyaki sauce is a liquid sauce. 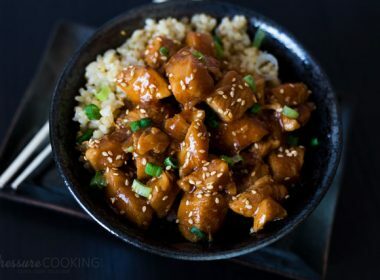 The teriyaki sauce is a liquid but make sure you have the minimum amount of liquid required by your pressure cooker. Mine, par example, needs 1.5 cups so this is just barely enough (sauce + lemon juice + oil). I might add a little water or extra sauce just to be safe. 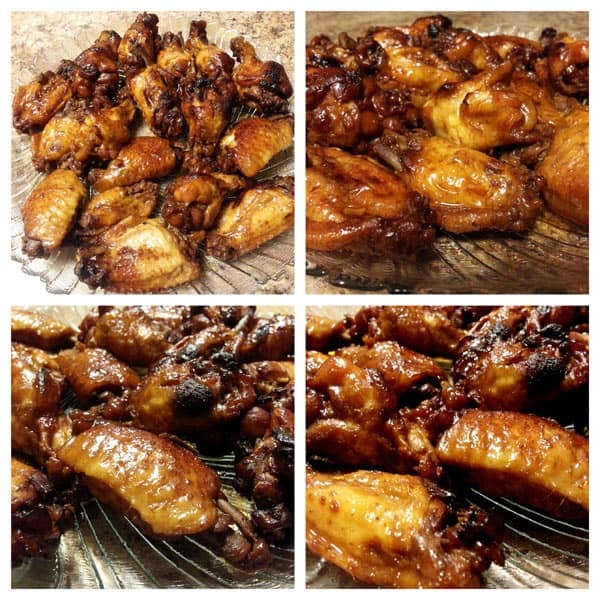 Thank you for sharing….These wings were great! Thanks Rita – so fun that you made them already! I love these! So easy and healthy! Sometimes it is hard to find healthy meat dishes to serve the family! I know mine will be gobbling it up!